Did you have fun making your own writing paper? 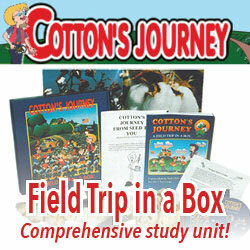 To learn more about cotton and the history of papermaking, Cotton’s Journeya Field Trip In a Box, lists several extension lessons to compliment this activity. So let’s get started on your cotton journey, with lots of fun learning about a plant we so often take for granted!